MINNEAPOLIS Best Buy's (BBY) co-founder and former chairman Richard Schulze is returning to the Best Buy fold as chairman emeritus. The move comes after Schulze considered making a buyout bid for the electronics retailer but never made a formal offer. Best Buy has been working to turn around its results as it faces tough competition from online retailers and discounters. Since hiring turnaround expert Hubert Joly as its CEO in August, the company has cut jobs, invested in training employees and started matching online prices. Schulze is also nominating two former Best Buy executives to the board: Former CEO Brad Anderson and former Chief Operating Officer Al Lenzmeier. Schulze founded Best Buy in 1966 and is its largest shareholder, with a 20 percent stake in the company. He resigned as chairman last May and left the board in June after a company investigation found he knew about an inappropriate relationship then-CEO Brian Dunn had with a female staffer. Now Schulze says he supports CEO Hubert Joly's plans to turn around the company. Financial results show that his changes seem to be beginning to help. Earlier this month, the company reported that U.S. revenue in stores open at least 14 months rose 0.9 percent during the fourth quarter, the best performance in 11 quarters. The metric is a key measure of a retailer's health, because it excludes revenue from stores that recently opened or closed. The move likely shows that when Schulze was preparing a possible bid for the company, he studied Joly's turnaround plan and got more comfortable with it, said Morningstar analyst R.J. Hottovy. In addition, naming two former executives to the board will likely give Joly some more insight about decisions made in the past, Hottovy added. But he said adding more former executives to the company does not detract from Joly's plan. "Joly is still in the driver seat here," he said. 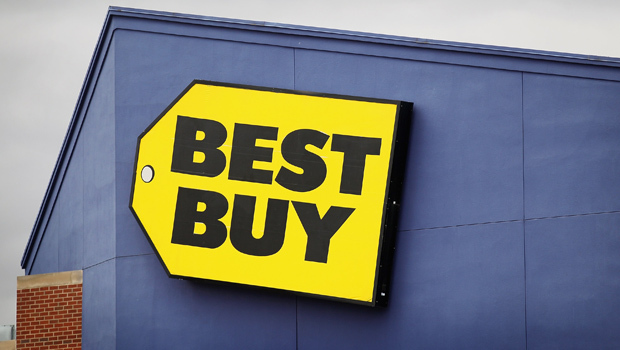 Best Buy shares rose 30 cents, or 1.3 percent, to $23.07 in morning trading. Its shares have more than doubled since hitting a 52-week low of $11.20 in late December. They traded as high as $27.95 late last March.